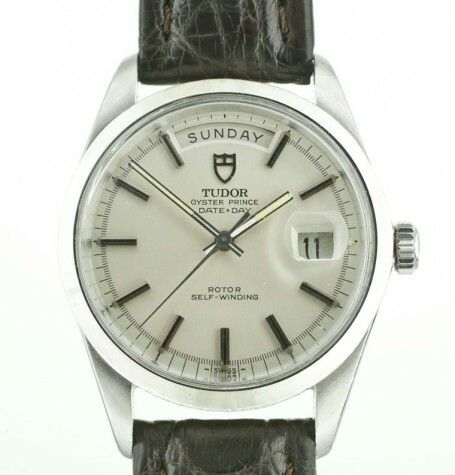 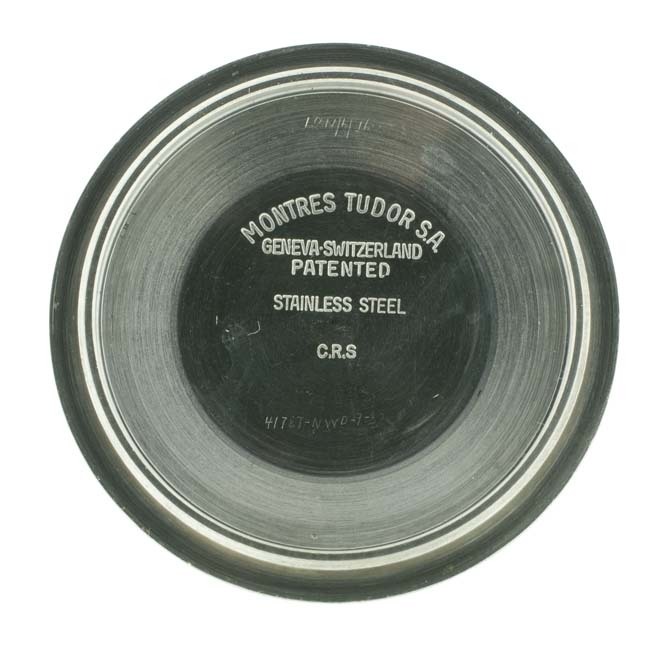 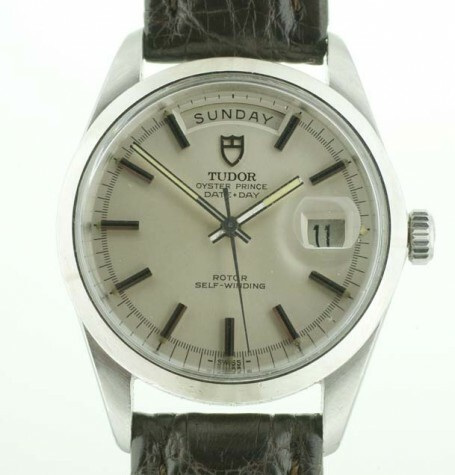 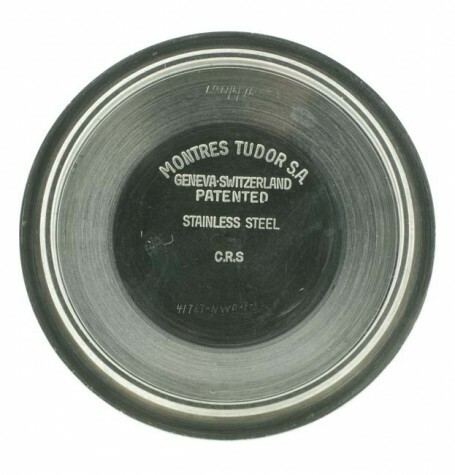 Tudor Day Date in steel made in the 1970's and larger than a Rolex President. 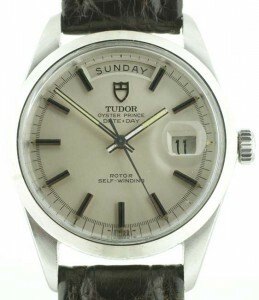 This Tudor Day Date is the only way you can buy a steel watch made by Rolex that shows a day and date. 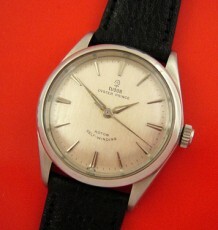 Rolex has made the Day Date, more commonly called the President since the 1950’s but only in gold and later platinum. 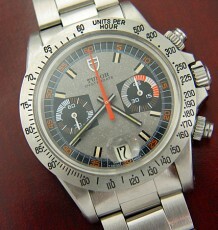 Rolex then started making a Tudor version of the watch is a larger steel case in the 1970’s. 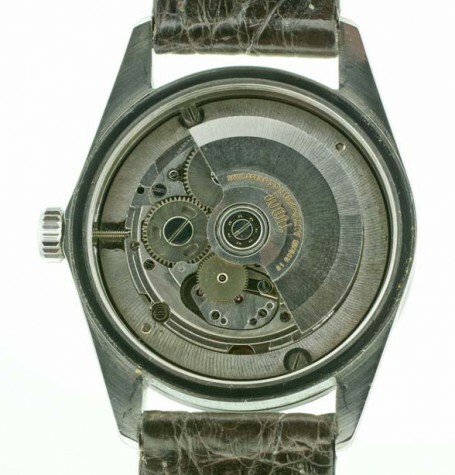 The fact its steel and larger than a President makes this watch more wearable in my opinion. 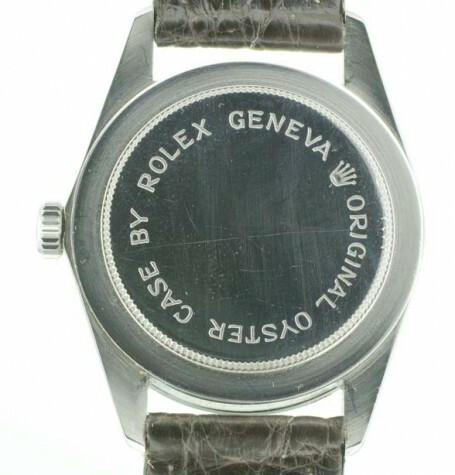 The case measures almost 38 mm wide instead of the 36 mm of the President. 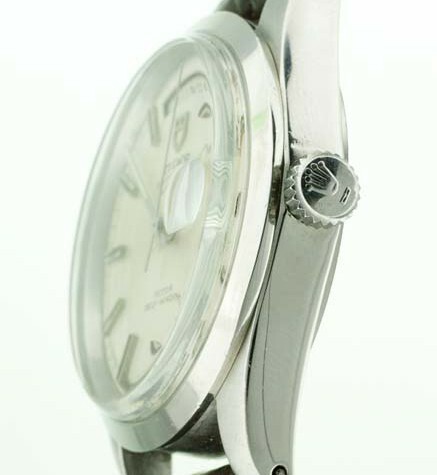 This model reference 7017/0 features a smooth steel bezel. 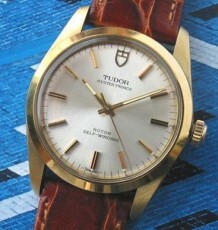 Tudor also sold a rotating bezel model that was similar to the Rolex Thunderbird models. See an example of a Tudor Date Day 7020/0. 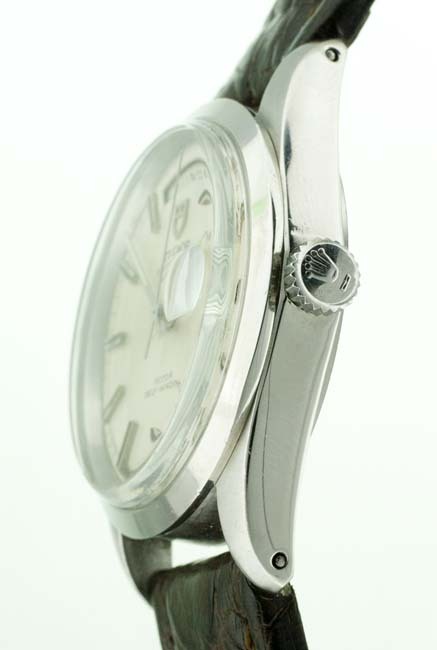 The watch features a white dial with large angled steel markers. 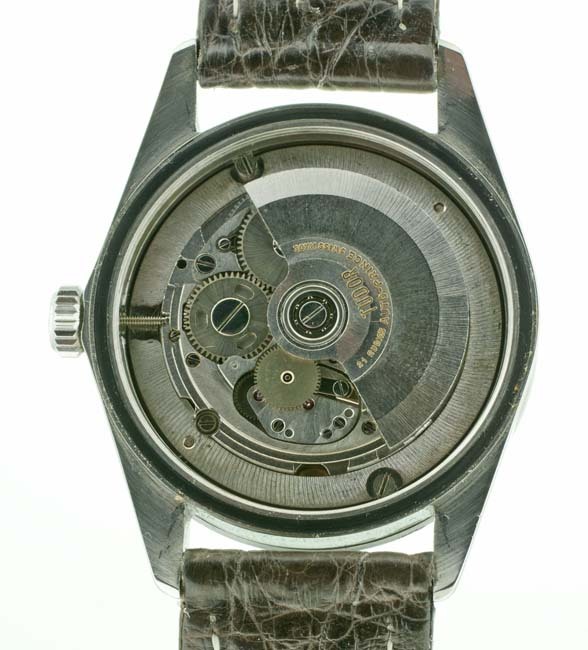 The minute track has been divided into delicate 5th of seconds markings. 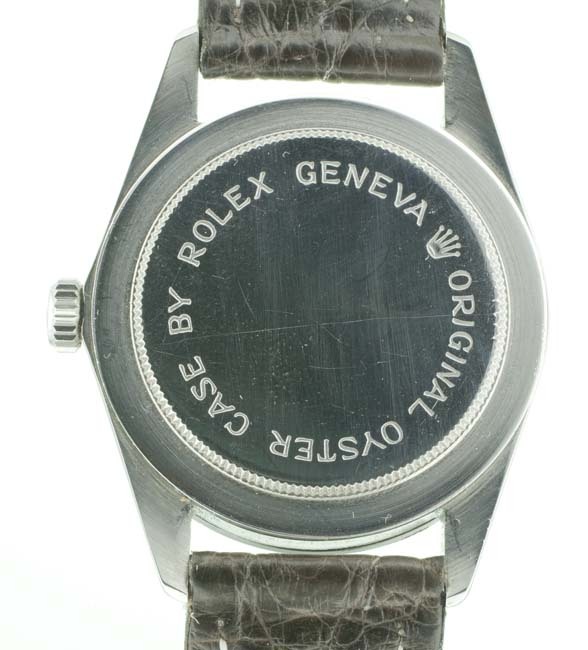 The hands are steel stick shaped with luminous inserts. 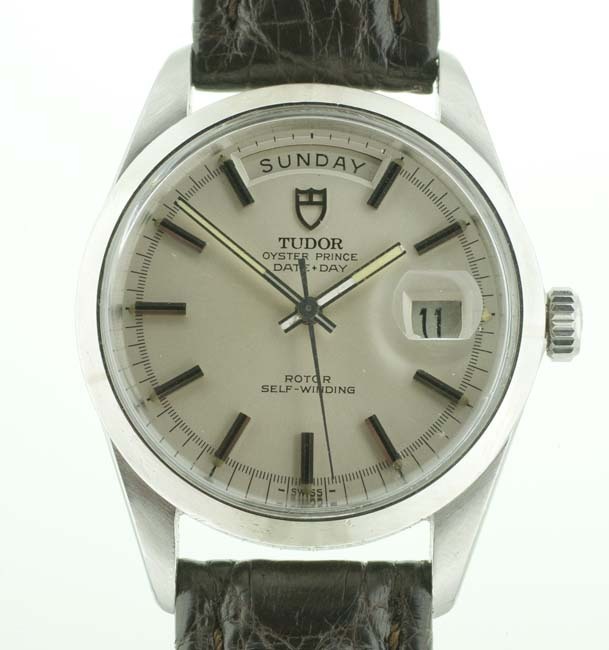 The watch is fitted with a Tudor signed automatic movement that was just serviced and running perfectly. 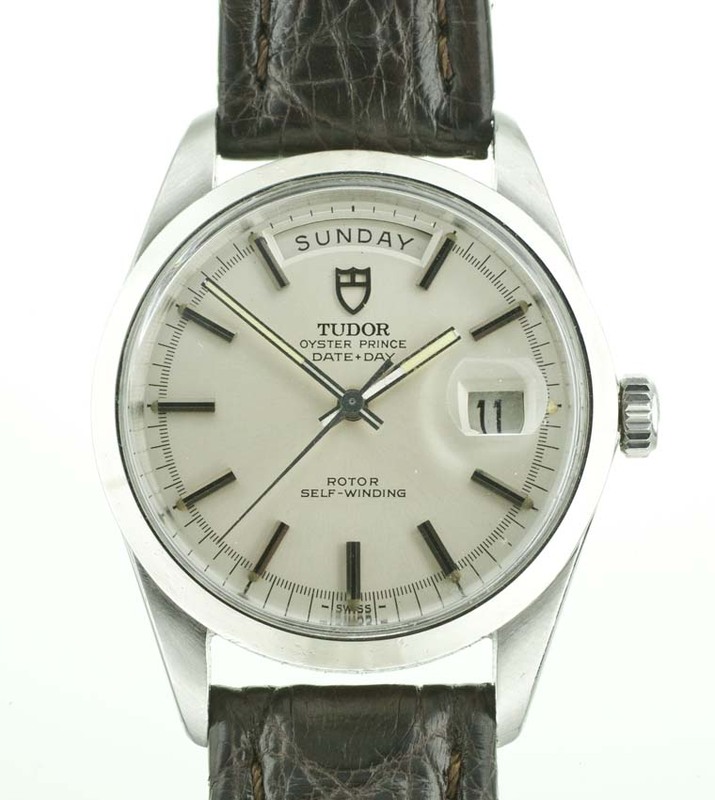 At present the watch is fitted to a dark brown leather strap. 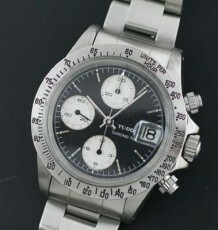 The buyer has a choice of brown or black straps also.